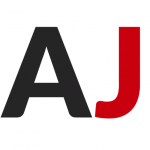 I’m Joan and a few months ago I decided to move to Osaka to study Japanese. I had been working really hard on my thesis these past few years back in Spain, aside from a few other projects, and after finishing it I found a window to follow one of my childhood dreams. Since I remember, I’ve always been interested in Japan. Back then I was captivated by big cities and the idea of once living in one. I guess that having mobility impairments really made me appreciate places where everything was at hand. 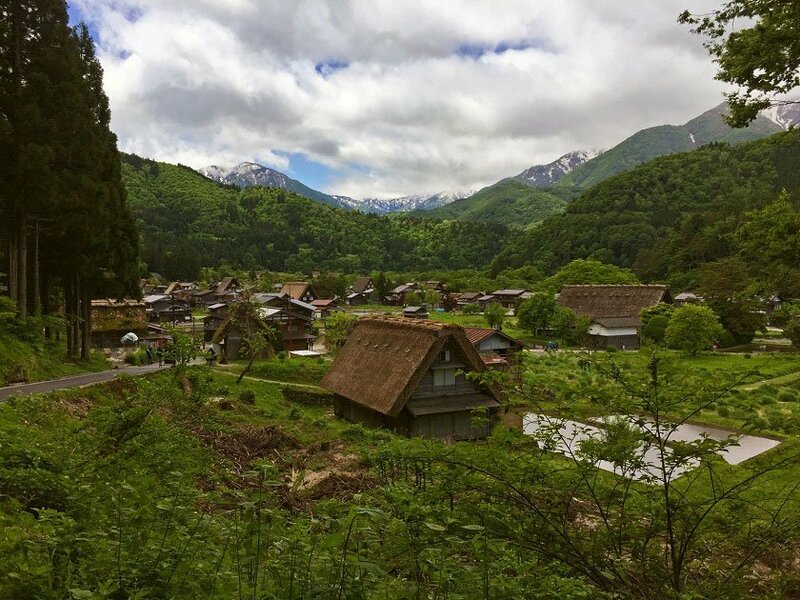 But then I also like nature and history and Japan has it all. As most of the people that come to Japan, I had also watched my deal of anime and read quite a lot of manga (I’m more into reading, actually), but I’ve never considered myself a real fan of either. My interest in Japan was more an attraction. A mixture of modernity, tradition, technology, culture, exoticism, respect and history. It was one of those societies that somehow catch your eye and you always want to learn more about it. It was that kind of feeling. So, having decided to come and having found the window, I had to solve some stuff in order to fully open it. Paperwork was one. I thought that in Spain there’s quite a lot of bureaucracy, but nothing compared to Japan. In order to get a student visa, they want to know everything about you, from the money that you’ve got in your account to why you changed degrees or why you spent a few months without studying. Then, once you get to Japan it’s also a myriad of trips to the ward office to register your address, to enrol into the healthcare system and lots of other stuff. The thing is that you get so many letters in Japanese and you find yourself filling so many forms that you barely understand that it can get quite overwhelming. Anyway, once you sort everything out, you feel quite relieved. Unfortunately, everything needs to be done in person. Japan is a high-tech country, but not when it comes to paperwork and money. Well, I was able to send a picture of myself for one of the ID cards, but that’s about it. Second, and most important, I had to sort out how I’d move around in Japan. In Spain I’ve got an adapted car and I used to move around with it and walk with one or two crutches for short distances. Lately, I had also been using a mini-segway, but in Japan laws concerning mobility scooters and other devices are really strict. 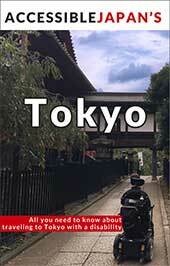 There are some common ones among all the territory and others that depend on each city. To make it short, there’s a list of mobility devices (mostly from Japanese brands) that happens to be quite reduced. There’s no problem for wheelchairs, any kind, though. A thing that I forgot to mention is that I’m one meter tall, so everything that I use is custom made. Therefore, I couldn’t just get any run of the mill device in Japan to do the trick. This probably is also the situation with many people with disabilities. Customization is a must. To see if I could manage to get a permit for my mini-segway (as I had seen on the Internet that a person that had come twice for work had managed to get one for her mobility scooter after having many issues on her first visit), I contacted an association for disabled people in Japan. 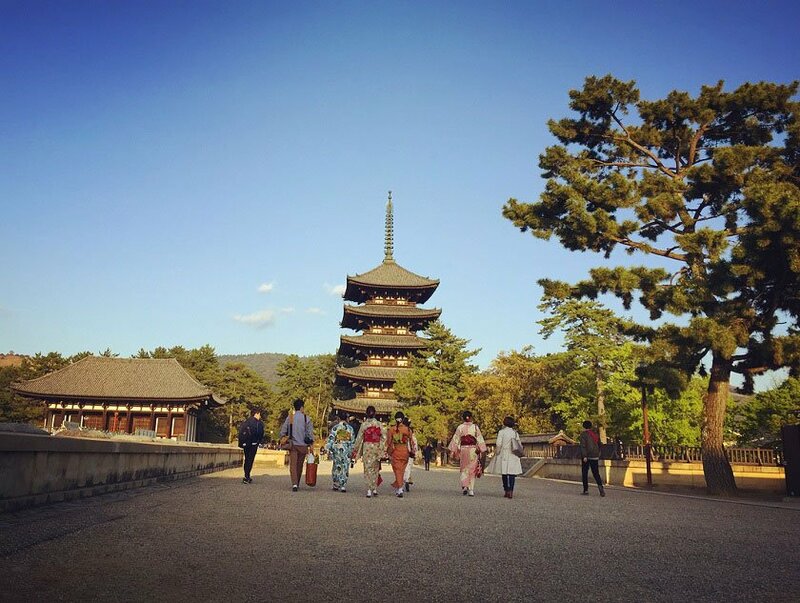 Here’s when I started experiencing the great hospitality of Japanese people. A foreigner asking stuff about a weird segway in English (most of the times, when you move away from common tourism related stuff, English is quite useless in Japan) could have been well left in the Inbox for quite some time in many places, but not here. They helped me a lot and after several mail exchanges (they even talked to the Ministry of Transportation! ), we saw that it would not be possible to get the permit for the mini-segway. If I came with it I risked being stopped by the police, being prohibited to use it on the street and being banned from boarding any means of public transportation. And in Japan rules are followed under all circumstances. So most likely the segway adventure would have lasted a couple of days at most. Despite the bad news, it never crossed my mind to give up. I needed another means of transportation and it had to be a wheelchair. So, in order to follow my dream, I became a wheelchair user. What a great decision it was! However, I wonder how non-disabled people would react at having to use a wheelchair in order to live in another country. Anyway, after considering several options, I decided on a manual wheelchair with a Smart Drive, a power-assist device. My arms are quite short and my joints not really strong, so I’m a weak pusher, but at the same time I wanted to keep the flexibility of a manual wheelchair. 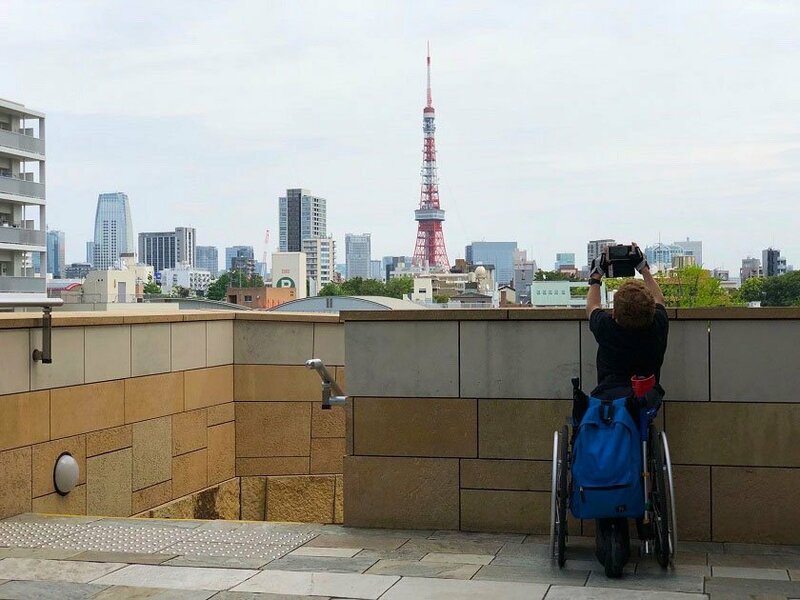 I would be living and traveling alone and I had an idea of how wheelchair accessible Japan was, but didn’t exactly know either, so I was expecting quite a lot of small steps and quite a lot of narrow places. Now that I’ve been living here for 5 months, I can say that I was right. So, now that you know a little bit more about me, here’s the gist of what I’ve learned so far in terms of accessibility. In my opinion, Japan is quite a wheelchair friendly country. In big cities, transportation is great in comparison to other places that I’ve been, such as France, Germany or the United States, where many station are not wheelchair accessible. In Japan, when you want to take the train or the subway, in many stations, there is a step and/or gap to board, but you can always ask for assistance to the station agents next to the ticket validation gates. They’ll promptly bring a slope and they’ll contact your destination, so they’ll be waiting at your door when it’s time to get off. I was really impressed with this service, as, even though you’re not totally independent, at least it lets you use the train, while they work on eliminating these steps and gaps. I’ve used the service hundreds of times and I’ve only had issues with it a couple of times, so it’s reliable. The service is not available nation-wide, but, nevertheless, it’s quite outstanding. As far as boarding times, Japan has the dreaded rush hour. I’ve always tried to avoid taking transportation from 7am to 9am, but sometimes I’ve had to. 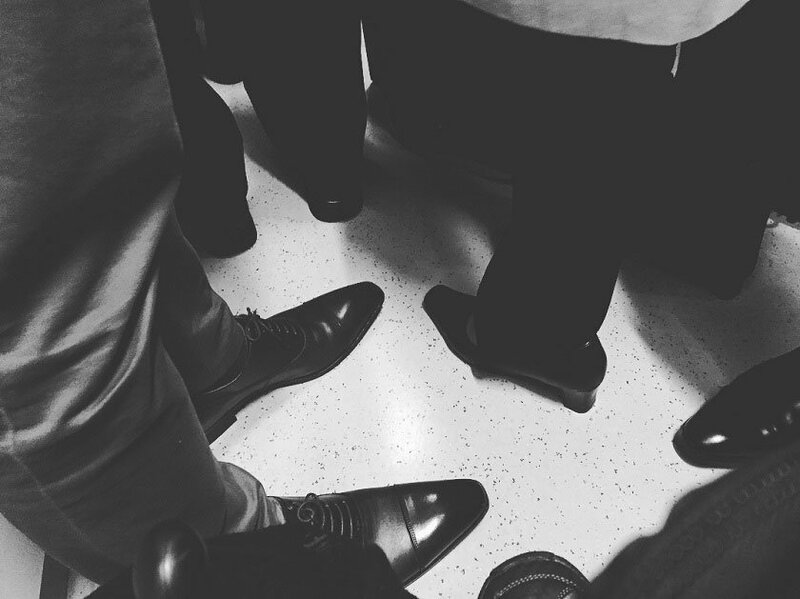 Even during rush hour, I’ve been able to board the trains. Sometimes I was told to wait a couple of trains, so you should always plan keeping that in mind, just in case, but the frequency is usually really high, so it meant 10 minutes more at most. The bus is another story, though. I’ve had really nice experiences and even found accessible buses in some small towns, which is not common, but I’ve also had terrible experiences of being refused to board a bus and being told that I wouldn’t be able to board any bus because they’d all be full. So when it comes to buses, it’s always better if you board them at stops that are the start of the line or, if not possible, try to avoid rush hour at all costs (also rush hour for some tourist attractions, especially in Kyoto). Still regarding transportation, when you start moving outside big cities or you’re going to the countryside, things change. One time I wanted to go to a station, deep in the mountains, that Google Maps said that was wheelchair accessible (it’s the only time that Google Maps has failed me when checking if stations are wheelchair accessible, thus far). When I went to the station that I had to depart from I was told that that station was not wheelchair accessible and that it had no staff, so no one would be able to help me. I was considering to board anyways and maybe ask for another passenger to help me, if needed be, but I was refused to board, so in the end I decided to change my destination. Negotiating is also quite difficult in Japan and even more if you’re not really fluent in Japanese. Nevertheless, as the station agent saw that I was quite upset, he apologized and told me that if I had contacted them a day in advance, at that same station or at another JR station, they could have made arrangements. So it’s possible to get to some pretty remote places if you tell in advance. I don’t know if it can be done for all stations, but in case of doubt, give it a try. 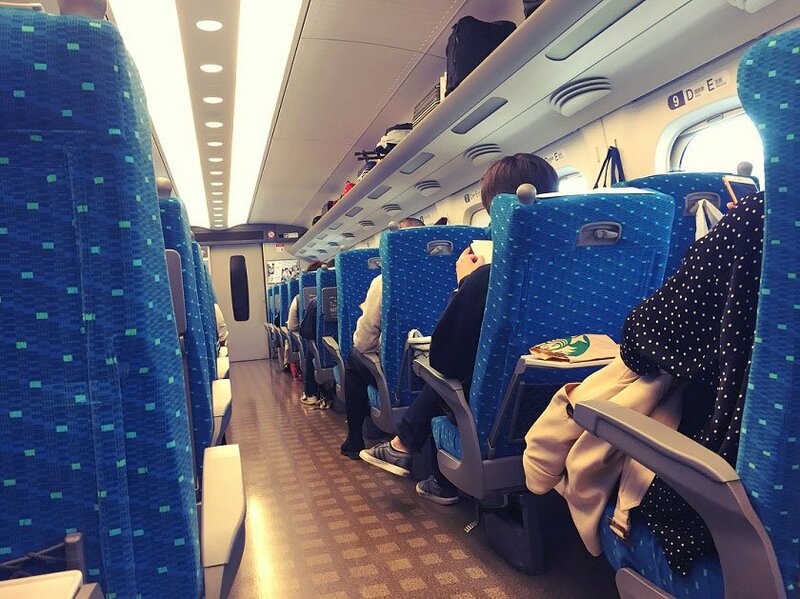 Finally, for Shinkansen and long distance trains, you have to go, up to a month in advance, to a JR station, preferably the one from where you’re starting your trip to make the reservation of the wheelchair accessible seats. 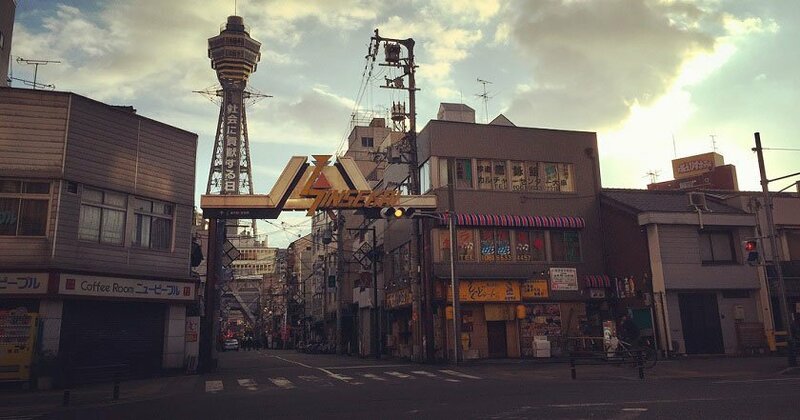 Even though it was a pain in the a… neck to have to go there beforehand and not being able to do the whole process online, as in many countries where train travel is still ways to go compared to Japan, up until April it was quite easy to do. Since April, things have changed. Now you have to go to a specific place in the station (at Shin-Osaka station is a separate room next to the main ticket window or Midori Madoguchi) or to a specific ticket window where you’ll have to wait for around 30 minutes, if you’re lucky, to get the whole reservation done. Apparently, they have to make some phone calls that take a long time and that sometimes are not answered. 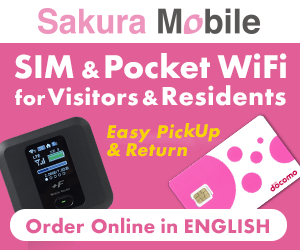 If that’s the case, you may have to wait even longer or may have to go back again after a couple of hours, so keep that in mind when making Shinkansen reservations. Never go there in a rush. For changing tickets, unfortunately, the process is the same, so put your best patience cloak on and smile. I’ve had to deal with it a few times already, as when I travel, I like to change plans on the fly and it’s been quite the nightmare. Hopefully, they’ll improve that soon. Otherwise, they’ll be having lots of pissed wheelchair users during the Tokyo Paralympics in 2020. Also keep in mind that wheelchair seats are limited, so you may not get the schedule that you wanted. Plan with flexibility and, if you have to change trains, don’t make it too tight. The good side is that, once you have your ticket, the rest of the service is really good. So, as you’ve seen, transportation, even though it sometimes requires planning and some tiresome trips to the station to make reservations, is good. By far, the best place that I’ve been too. Then come other matters. Shops and restaurants are not that wheelchair accessible, compared to the aforementioned countries. There are countless places with small steps or, flat out, stairs to access them. The good side is that Japan is also the country of shopping malls. You’ll find shopping malls in most of the bigger stations or I should rather say that you’ll find big stations inside of even bigger shopping malls. 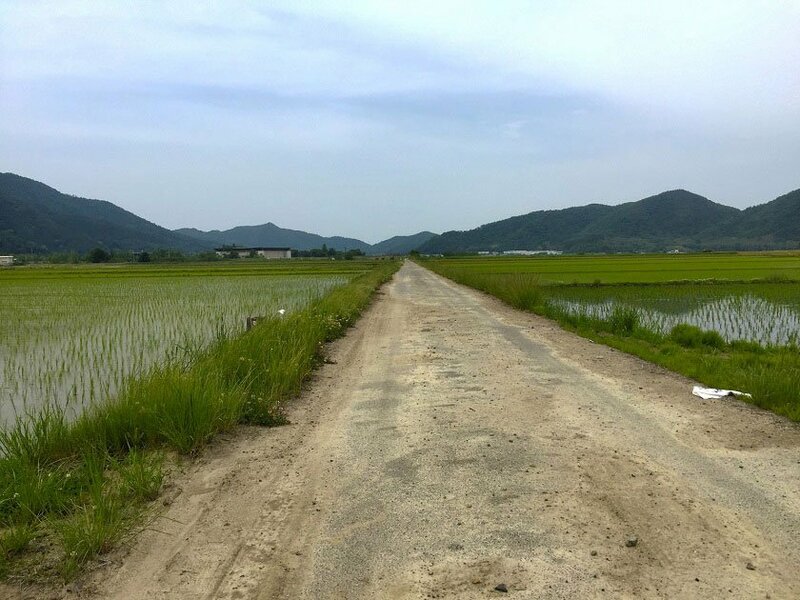 Most districts also have shopping malls, so you’ll definitely find places to eat, but if you’re looking for traditional ones, you’ll have to look hard. Many Japanese-styled restaurants are also really small or have fixed stools and high counters, so even if you can access them you can have a hard time inside. 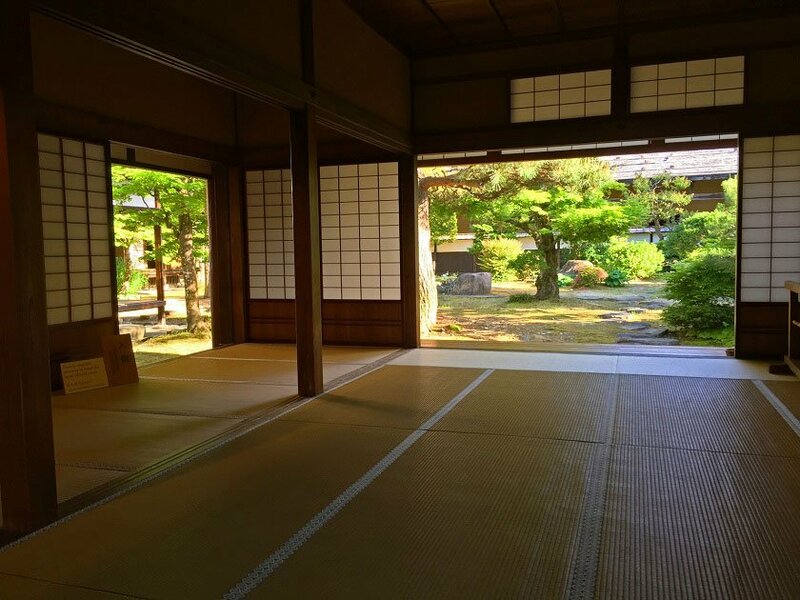 Then, if restaurants are inside traditional houses, you can expect several small steps, beginning by the genkan, where people usually leave their shoes, but there are always exceptions. Actually, Japan is the country where I’ve seen the most variety of slopes and ramps, inside places and also in front of shops and buildings. I don’t think that there’s a specific regulation, as well as with accessible toilets, which, by the way, there are nearly in every station, shopping mall and park, so some of the ramps are actually quite shady, ending up in a small step or being too steep, but the good aspect is that they are working on it and they’ll definitely get better. Having so many different kinds of ramps without having to put them by law shows their willingness to help. For example, in some non-wheelchair accessible rooms in hotels that I’ve stayed, without asking, I’ve been put a ramp to get over the entrance step. So my advice would be to always contact hotels beforehand (or having booked with the possibility of cancellation), even if they say that they are wheelchair accessible, as the concept of accessibility is quite relative in Japan, as you may be able to go to hotels that apparently aren’t accessible and the other way around. Going back to the restaurants, even if I highlighted some of the problems, I’ve never found myself unable to eat, even in small towns, so you’ll be fine. Sometimes I’ve just had to look a little longer. It goes by areas or even by streets. If you see that most of the shops in the street that you’re on have steps to access, change to another street or to another area. There are areas where most ground floors are accessible. If you’re not successful, I can assure you that you can also find some real Japanese cuisine in shopping malls, so anyways you’ll be able to taste real Japan. 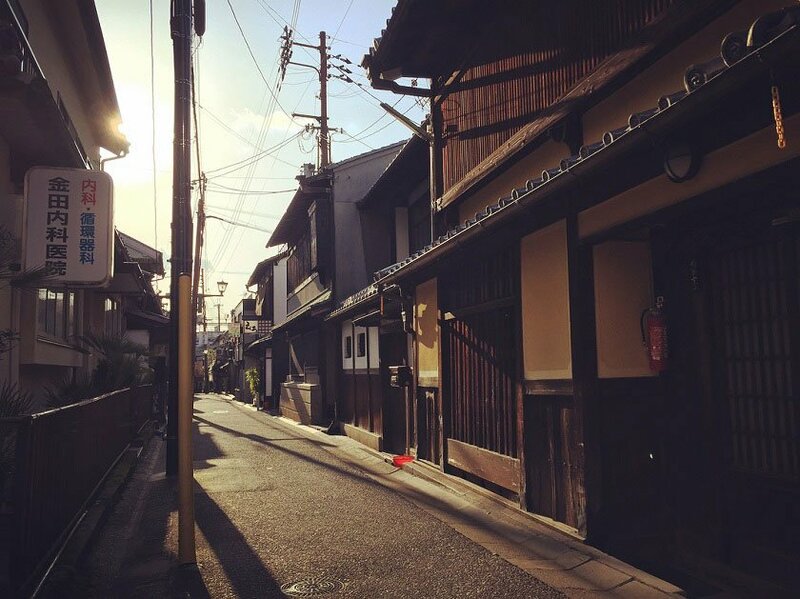 Talking about streets, coming from Spain and having been to many countries, I’d say that as far as zebra crossings and sidewalks, Japan is the best country that I’ve been to, so you’ll be able to freely walk around and enjoy your sightseeing. Maybe it’s because many people ride bicycles (and in many places bicycles can use the sidewalk and sometimes park there too…) or maybe it’s because there are no sidewalks on side streets, just a line indicating where pedestrians should walk, which makes it perfect for wheelchairs. Generally, both sidewalks and crossings are wheelchair accessible, although you can find some overpasses that cross huge streets that can be a bit of a hassle. They were at the beginning, but, usually, if you search enough, there are elevators to those overpasses too. On main streets, all sidewalks also have tactile paving for visually impaired, as well as in stations (there’s even tactile paving in some elevators!). Even though some of them are pretty rough, especially when main streets get crowded and you get caught up in them if you have small front wheels, I’ve sometimes used them to find the way to hidden elevators. Elevators can get really hard to find in some stations as many are located inside regular buildings, so also plan extra time when moving around for that matter. Sometimes elevators have signs to get to them, but many times you’ll be clueless as to where they might be. A couple of times I’ve been looking for the elevator for more than 20 minutes… Stations are big and underground paths can stretch well over a hundred meters. Sometimes, I’ve also asked people that looked from the area, such as shop owners or people working on the street in order to find them. A couple of times, they temporarily even left their jobs in order to walk me to the elevators. Once more, Japanese kindness and willingness to help is amazing. Anyway, despite their sometimes tricky location, elevators at stations and inside most modern buildings are big enough to fit a wheelchair (although mine is small) or two. They also usually have lower buttons both outside, to call them, and inside the cabin, many times on both sides, so even if you cannot turn with a bigger wheelchair, you may able to press them. 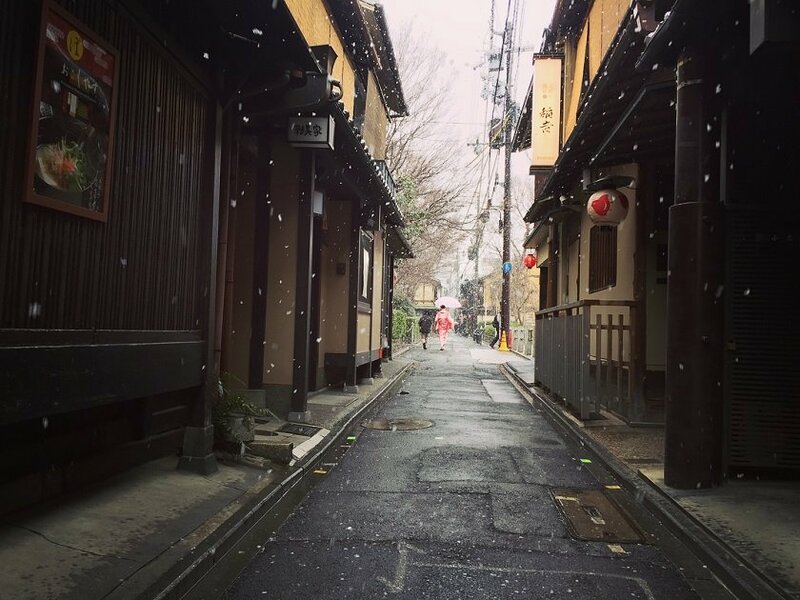 As for streets, don’t forget the side street tip, apart from avoiding crowds and having no sidewalks, you’ll be able to find some hidden gems too! 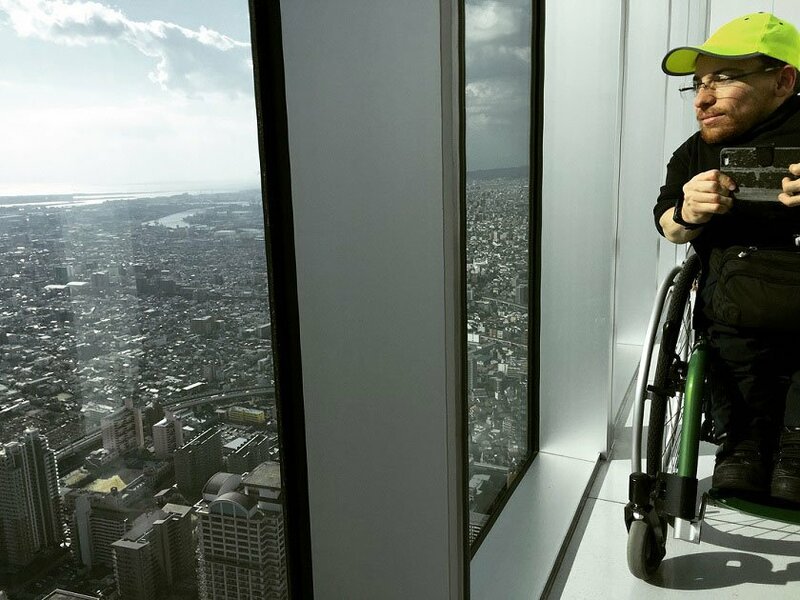 Finally, for wheelchair users that may want to come to live to Japan, housing can be quite an issue. There aren’t many accessible apartments, not to mention apartments with accessible toilets. In Japan, most of the bathrooms have got a bath tub and also most of the bathrooms have a step to access them. Most of the bathrooms are also too narrow for a wheelchair to fit in. I’m fine with a bath and with that small step and even with that I had troubles finding a place with no stairs at the entrance or before the elevator. Also, doors and aisles can get quite narrow, as space is of the utmost importance here. While searching, in some newer buildings, which end up being the only option, I was even told that I had to leave my wheelchair at the genkan of my apartment, as if I were removing my shoes, meaning that I couldn’t go past a meter from the main door with it. So, even though people are usually very nice, as always you can find quite insensitive people. Actually, I learned that at least in Osaka there’s a city guideline that tries to stop these kind of practices, which apparently were quite common a few years ago. They know that you don’t have many options, so they are usually more expensive and there can be some abusive behaviour. All this besides the usual problems that foreigners have to rent in Japan. In the end, after a lot of searching (start it as soon as you can), I was able to find an accessible apartment through AirBnB. As it was a long term stay, and after finding another accessible apartment once in place through an agency, I managed to get a better price, but I’m still paying quite more than my classmates at the language academy. And that’s all for today. I was planning on talking a bit more on sightseeing, especially when it comes to visiting temples, but the post has already gotten quite out of hand. If all goes well, I’ll write some more posts on the most interesting places that I’ve visited (the pictures in this post are from the trips that I’ve made during the past few months, most of them by myself, but some of them with my partner that came for a visit, who is a manual wheelchair user with no power-assist), so I’ll be talking about temples, onsen (Japanese hot-springs) and some more accessibility tips and experiences then. So far, my stay in Japan has been totally worth it. If you want to come for a few days, for a month or for a year to plunge into its unique culture, do it, you won’t regret it. 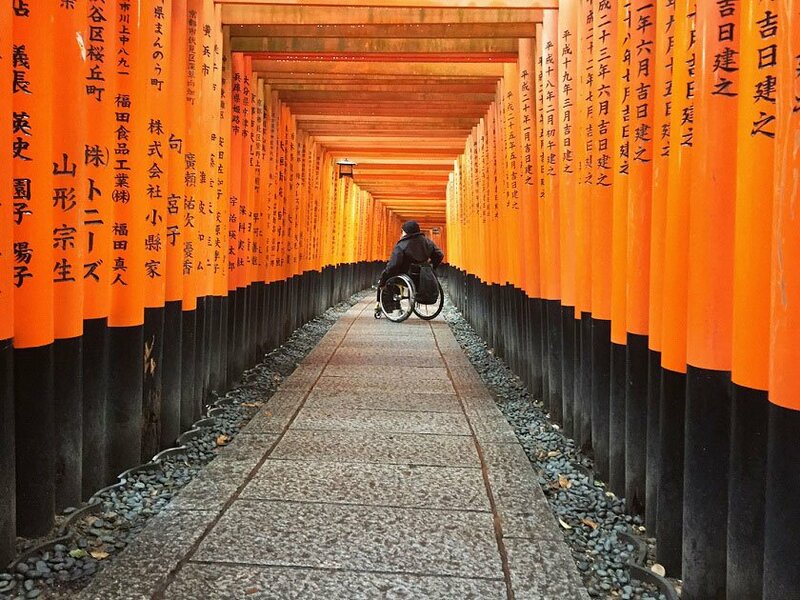 Japan can cater to all tastes, from city lovers to nature enthusiasts, from tech hungry to history passionate, from calm seekers to adventure longing… everyone will find his place and you can do it on a wheelchair. If you’ve gotten here, I hope that it’s been helpful and that you’ve enjoyed. Thanks for reading and see you soon! Joan Pahisa is a motivational speaker, PhD in computer science, sportsman and aspiring writer from Barcelona. He did a TEDx Talk in 2013 and, since then, has done talks in companies, sports clubs, schools and universities, specializing in motivation, disability and corporate social responsibility. 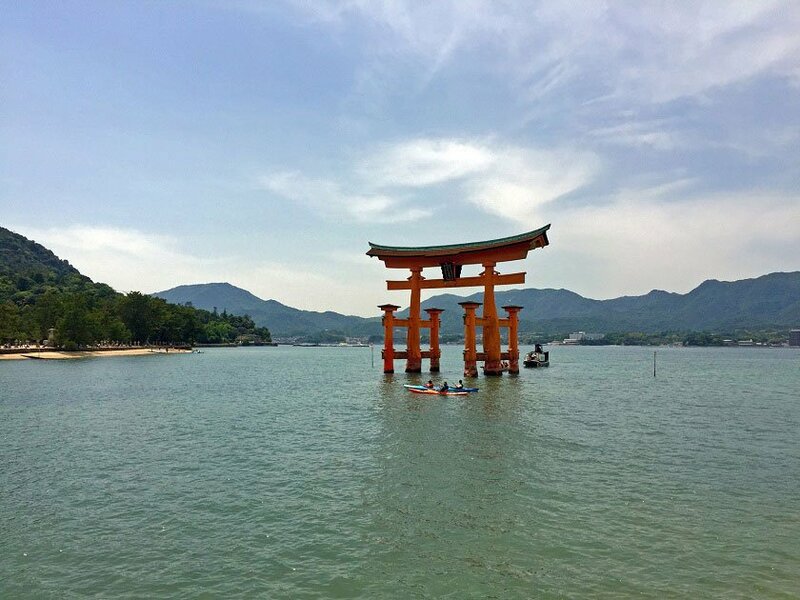 He is now living in Japan where he is studying Japanese and also living experiences and getting ideas for his upcoming books. You can follow him on Twitter and Instagram at @joan_pahisa or visit his website at www.joanpahisa.com, although most of it is in Catalan and Spanish.